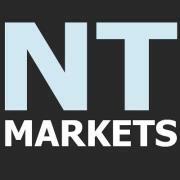 Thursday 20th August- Market wrap | Beeks Downunder-Because not all financial news is boring! ASX 200 down 91.6 points to 5288.6 with a late afternoon slide into the close. Energy and mining stocks big losers. Results in focus with ‘Super Thursday’ not so super as heavy weights reveal their hands. China down again 1.57% and US futures down 24. Normal service has been resumed today with a bumper day of profit results swamping analysts. It seems to be ‘shoot now analyse later ‘with some knee jerks reactions hitting stocks early and then rebounding on further analysis. Disappointment continues to be overwhelming, and the outlook statements are cautious at best. ‘Challenging’ at worst. 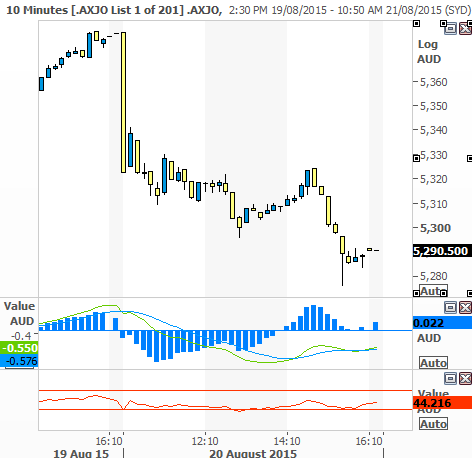 The ASX200 was never going to shrug off the slings and arrows of a worried Wall Street today with commodities once again falling in a hole and staying there. Energy stocks were under enough pressure even before the Origin Energy (ORG) -13.55% results that added another nail in the coffin of confidence. We have Santos (STO) – 7.45 % to look forward to and with a sliding oil price, it looks like Woodside are in the box seat to pick off the weak. The big miners also got hot with BHP – 3.42 % (a near ten year low) and RIO – 2.51% breaking psychological levels. Gold stocks enjoyed a rare moment in the sun with bullion prices heading higher overnight as rate rise fever abates slightly on the Fed minutes last night. The banking sector was once again under pressure with Commonwealth Bank (CBA) – 2.79% still under the most pressure with the rights (CBAR) – 23.16% showing how geared these rights are., but Macquarie Group (MQG) – 2.37 % also continued to slide as did other wealth managers like Platinum (PTM) – 3.79 % and Henderson Group (HGG) – 1.86%. AMP – 1.75 % were also weaker following the results, and REITS followed suit. Industrials were the focus of results today, but few managed to buck the downward trend. There were some bright spots with G8 Education (GEM) + 6.41 %, SEEK (SEK) + 4.97 % rebounded a little following the drubbing yesterday. Some of the specialty retailers and consumer discretionary stocks also managed gains, Super Retail Group (SUL) + 1.05 %, Trade Me (TME) + 5.76 %, Amalgamated Holdings (AHD) + 7.44 % and Village Roadshow (VRL) + 2.87 %. 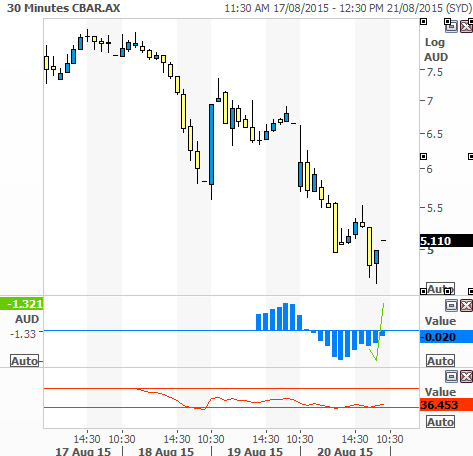 Healthcare stocks were mixed with Ansell (ANN) + 3.47 % finding favour after the collapse last week. Sonic Healthcare (SHL) + % after being upgraded by Citi and Credit Suisse. In the telecom sector the ACCC has allowed the takeover of iiNet (IIN) + 1.17 % from TPG (TPM) + 2.62 % which may have knocked Telstra (TLS) a little on increased competition. ASX + 0.47 % as the growth in listing fees helped push profits up 5.2% to $403.2m.EPS was up 3.6% with a final dividend of 95.1 cents up 5.8%.The outlook is cautious though as the government completes its report into the monopoly that the ASX holds. Wesfarmers (WES) + 1.19% announced a solid underlying profit of $2.44bn up 8.3% with the all-important food and drink sales up 3.9% compared to 3.7% last year. Officeworks was a standout where earnings rose 14.6% on a near 9% revenue growth. Seems the budget really helped this one. Problem children Target and Kmart also improved on better earnings numbers. The final dividend was up 6 cents to 11 1 cents. AMP – 1.75 % posted a 12 per cent rise in first-half underlying profit to $570 million, but warned there was “more to do” to tackle the problems facing its life insurance arm. The group said its cost-to-income ratio improved by 1.9 percentage points to 43.1 per cent. Revenue from ordinary activities climbed 19 per cent in the six months ended June 30 to $8.624 billion from $7.245 billion. Qantas (QAN) – 6.12 % 10 % turn around as they took off initially only to crash land later despite a good set of numbers ,and topping out at 390 cents, after a $3.3bn turnaround from last year and an underlying profit of $975m together with a capital return of 23 cents.No dividend as the capital return makes more sense as they have a lack of franking credits to share. However, profit taking took its toll with the stock slipping in the afternoon. The falling fuel price has been a huge driver. More new planes and continued efficiency drives and cost cutting but growth only around 3% may be disappointing for some. No guidance going forward but lower oil prices will obviously be key. Tassal Salmon (TGR) – 1.88 % announced profit had jumped 20% to almost $50m.The DeCosti acquisition will drive the company to diversify from purely Salmon into other seafood, and they feel well placed to use the economy of scale to drive growth. Beacon Lighting (BLX) – 1.87% today announced an NPAT result of $16.9m for the financial year. This was an increase of $5.1m or 43.6%. The NPAT increase was the result of very strong sales, solid gross profit dollar increases and operating expense productivity gains. They also issued a positive outlook statement with new stores and acquisitions on the horizon. Brambles (BXB) – 2.61 % Brambles is forecasting higher profit in financial 2016 despite the “tepid nature of the global economic recovery” and concerns about a slowdown in China.The company, which supplies wooden pallets and plastic containers around the world, expects underlying profit to reach between $US1 billion ($1.36 billion) and $US1.02 billion, growing at a rate of 6 to 8 %, in the current financial year. It said sales would climb at a similar rate, from $US5.46 billion in the year ended June 30. Origin Energy (ORG) – 13.04 % had a shocker result today with huge write-downs and provisions for restructuring. They took a $705m impairment charge on their investment in Contact Energy .Underlying profit also fell 4% to $682 while revenue fell 7% to $11.55bn.Once again the outlook was described as ‘challenging’. CEOs must have all been at the media training seminar this season. APN – 12.88 % Nasty reaction to the numbers with the stock falling down to 47.5 cents before a rally but the numbers were taken very badly as net profit slid 67% to $7.5m.$17m in exceptional items didn’t help matters nor did the comments from management of continuing softer market conditions extending into July. Meanwhile in Asia we saw more weakness across the board with Shanghai down 1.8%, Nikkei down 0.9% and Hong Kong down 1.25% but nowhere near the volatility of yesterday. Looks like China has injected the most funds since February to prop up the yuan straining the supply of cash and pushing money market rates to a four month high. The People’s Bank of China pumped a net 150 billion yuan ($23 billion) into the financial system this week. European markets look to be opening weaker with early indications for small falls. FTSE down 10 DAX down 17 and CAC up 4. And spare a thought for Kazakhstan where they have allowed the currency to float. Or more accurately sink as it plunged 23% in a record move down. Just another emerging economy to abandon efforts to prop up its currency before a US rate increase.